Glad you liked it – although I still think people will get a better understanding of the social commentary and Takami’s intended message from the book than the film. I also think some of the stunts the student pulled to survive should have made it into the film – the toilet scene for one. I think of Battle Royale as the inverse of Logan’s Run. Logan’s run kills off adults at a certain age. It is for population control but some of the analyses of the book and film I’ve read have discussed that the culture differences of the youth and the older population at the time of the writing that influenced it to reflect a sort of distrust and fear of the older generation that would instigate such a drastic solution to dwindling resources and over population. 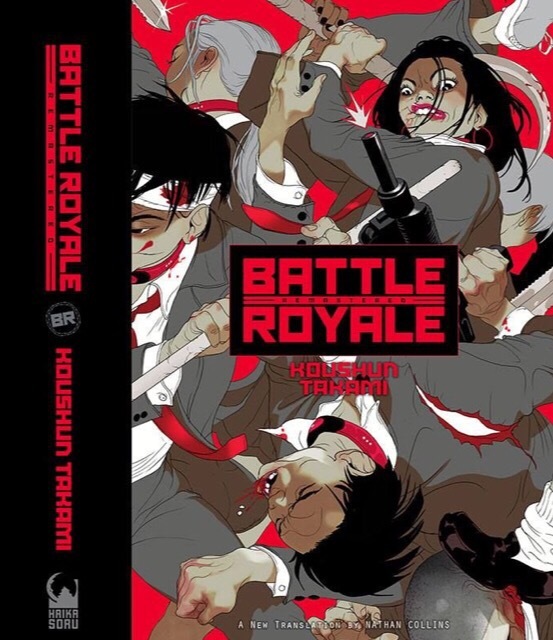 Battle Royale’s opening sequence indicates the older generation fears and distrusts the younger generation’s violent tendencies so they create this as a solution. Every year it kills off one entire classroom of students. By observing this event, it somehow curbs the violent tendencies of the rest of the people. (I don’t think it is filmed like Hunger Games, but I think there was a radio broadcast of events.) Perhaps under the same concept that Roman gladiatorial events helped channel the violent urges of the population as they cheered on their favorites instead of acting out themselves. I’m not sure that really works but I understand the concept. Both books and films have, as an underlying core to the stories, fear and distrust of the other generation. But a culture that venerates the elderly (as a cultural ideal if not in practice) they kill the younger people and a culture that venerates youth they kill off the older people. I always meant to read this after watching the film, but never got round to buying it, and then it went out of print, and… now I don’t read enough. But maybe one day! Sounds like I might like it.